Breena, Cara’s best friend, has been told that she must win the Junior Championship of Seahaven to win a place in Dragonsdale’s Guard Flight, her dearest ambition. But a chapter of injuries and accidents have made this a forlorn hope, especially as Cara and Skydancer are now proving a practically unbeatable combination. This situation, exploited for her own ends by Hortense, causes a bitter quarrel between Cara and Breena, which culminates in a serious accident at Dragonsdale’s home showing. Shortly after this, Breena and her dragon Moonflight go missing. Cara feels sure that Breena is in deadly danger, but by the time she and her new friend Ronan of the Mer-folk realise what has happened to Breena, they may already be too late to save her. 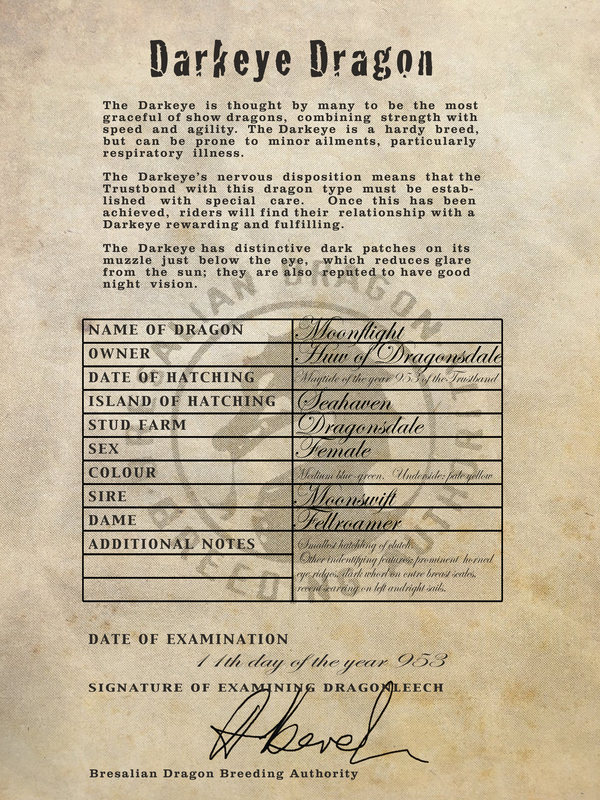 Click here to download your own Dragon Log form.